Nothing quite signifies the start of spring like the sight of hundreds of daffodils in bloom. 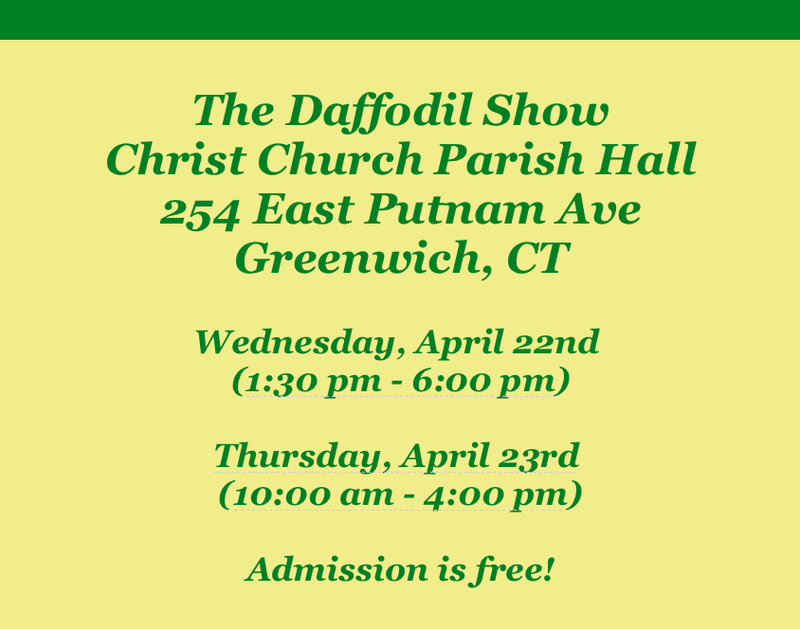 Today and tomorrow at the Christ Church Parish Hall 245 East Putnam Avenue, Greenwich, CT there will be the most exquisite daffodils on display. This free event is not to be missed! Mark your calendar and stop by The Daffodil Show hosted by the Daffodil Society of Greenwich, CT.
An additional treat at the show is artist Ellen Hoverkamp’s scanner photography. 23 pieces of her floral scanner photography is exhibited in the hallway next to the community room and available for purchase through the church bookstore. Categories: Ellen Hoverkamp, Pixie Perennials, The Daffodil Show | Tags: daffodil delnashaugh, daffodils, daffodils with ruffles, Ellen Hoverkamp, Ellen Hoverkamp scanner photography, floral scanner photography, pixie perennials, pixieperennials Wilton, Scanner photography, The Daffodil Show, The Daffodil Show - Christ Church Parish Hall Greenwich CT, The Daffodil Society of Greenwich | Permalink.